Lanark Loch Day Tickets & Lanark Loch Only Season Ticket Changes. Lanark Loch Only Season Tickets will no longer be available via the Council or the Scottish Carp Group Bailiffs. 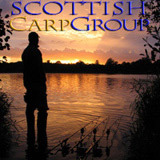 Anglers wishing to fish Lanark on a season ticket basis must now apply for Membership of the Scottish Carp Group which gives access to seven waters including Lanark Loch, SCG membership is also much better value for Junior Anglers. Lanark Loch Day Ticket Changes. Joint decision from South Lanarkshire Council & The Scottish Carp Group as part of measures to simplify and improve the management of the fishery. Only just confirmed today so it will take a while for all the council staff to find out but I do know posters were being made up for the council offices. Notices will also be posted around the loch as soon as day ticket details are confirmed. There won't be any kind of Lanark only season ticket available. Joint decision from South Lanarkshire Council & The Scottish Carp Group as part of measures to simplify and improve the management of the fishery..
How is that simplyfying things? Does the bailiff now have to come along before first light to make sure no day ticket anglers are on and again in the evening to make sure they have all gone? Chasing a local giant that has never seen the bank. Rob, I'm sure if you knew all the in's & out's and all the facts you would realise it does simplify things alot! which includes making life easier for Bailiff's. I think most would agree that the current SCG membership fee is still good value even if it is just for Lanark, another way to look at it is many SCG members only fish one water at a time so if you compare an angler who just fishes the Binny to one that just intends to fish Lanark, who is getting best value in terms of investment ? but is that not the point its a public park not a fishery is it not. I agree value for money is good but like rob i think its a way of getting people to join the group, me i have no interest in the other waters and never jave hence the reason why i paid for a annual ticket for lanark only, is that not still investing in the group as the money goes to the SCG. as investors in the group, as it has been put, we have no say on what goes on with the waters as i believe the anglers nor the balliffs were asked if this would simplify things on lanark it has just been decided by people that dont even fish or baliff the water. I can see the point in regards to the day tickets but annual tickets there is just no point at all what so ever in taking that away and to be truthful for a group or club to take the right of choice away without consulting the members that enable this group to have the seven waters that it now has away is nothing sort of disgraceful to be honest. The Lanark only ticket was a leftover from when the council ran the fishing and is not something the SCG have ever wanted, we don't have individual season tickets for any other waters do we! Having the Lanark only ticket caused various problems, confusion and extra expense that the council and the SCG can do without. my tickets in the post honest! Lanark loch is a public water, does this mean that the SCG carry out maintanence to dam walls , repairs to walkway, cut grass etc.? What about the many anglers who dislike the SCG and dont want to line the SCG' pockets so they buy there tickets from the council every year? Who where the people from the council you where in consultation with? (I would like to know). Do the SCG provide insurance if you trip and fall on the paths? Do the people of Lanark get a free Ticket, like any other town in Scotland with its own public water? Your funny as f**k Saul.